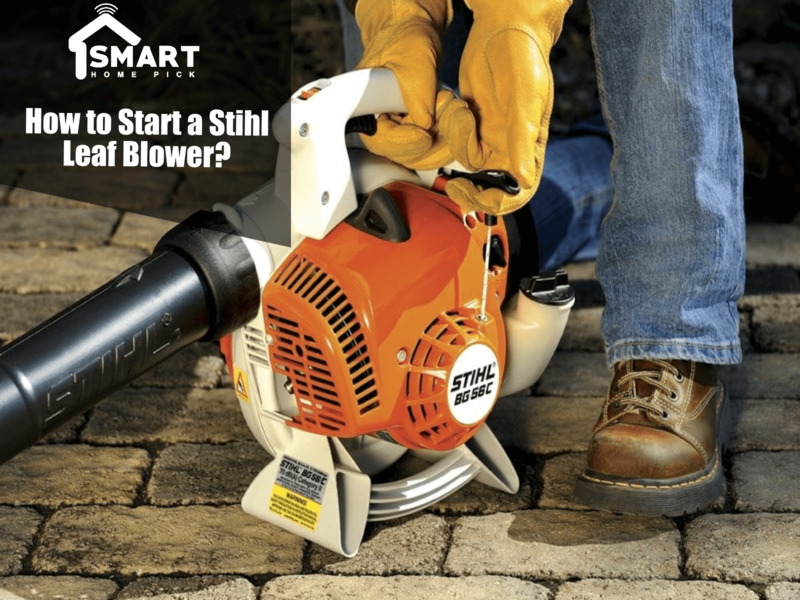 Home » Resources » How to Start a Stihl Leaf Blower? Cleaning outside your house or compound entails a good amount of work, and can be challenging. Autumn seasons or the normal days of cutting your lawn or other plants surrounding your home is one of the most stressing tasks on the calendar if you are an individual who likes to keep his or her house surroundings clean at all times. Now having a such a zealous task at hand, one certainly agrees making use of a stihl leaf blower to help ease the job or make it much faster. However not all of us know how to start a stihl leaf blower. A stihl Leaf blower, just like any other leaf blower is a gardening tool or machine that is purposely designed to move debris such as leaves, and grass cuttings by oozing air out of a nozzle. The air that comes out of the nozzle, directs or push grass cuttings and leaves in to a pile to be gathered later or to a designated place. Stihl leaf blowers are a reliable and trustworthy gardening equipment’s for the blowing of your leaves as they are durable, easy to use and lasts almost forever. Step-1 : Fill your stihl leaf blower with a gas and oil mixture. The mix of the gas and oil should be done in a small gas can, by pouring the gas and oil in to it, and gently shake it so as to uniformly mix the oil into the gas. You leaf blower might have the four-cycle engine, so check on that and if it does, fill it with only straight gas. Step-2 : Turn your stihl leaf blower on, and push the primer bulb in and out slowly but for about 5 to 6 times. Gently close the choke, making sure the choke is already on. Start your stihl leaf blower by pulling the starting cord once. A little force of the pulling is required to be able to start it on the first pull or you did have to try again till it gears up. Open the choke partially by moving the lever to the halfway point between open and close. Step-3 : Allow your engine to run for at least 10 seconds, although some models might need more, say up to 30 seconds of running with a partially closed choke. You now then move the choke lever to the open position. In some cases, your stihl leaf blower engine might stall, and if it does, you will need to pull the starting cord again in restarting it. And when it is done restarting, allow it to warm up for 20 seconds before shifting the coke to the open position. Firstly, turn the choke to the “cold start” position. There is the warm starting option is also available, so it is easy to know where to place your choke for each function. Once the choke is placed in the right position, in this case “cold start”, you simply start your stihl leaf blower, release the throttle and the choke returns to its proper position. It is recommended to always make use of a fresh gasoline at all times for your stihl leaf blower, and if your gas is old, make sure to drain it and replace it with a fresh one. Most gas leaf blowers make use of the mixture of both gas and cycle oil. The mixing of the gas with oil should be done accurately as mixing of too much oil with the gas, would just end you with starting problems.